"It's not what you eat that kills you, it's what you don't eat. If you're sick and tired of being sick and tired, educate yourself and start with the Healthy Start Pack. The key to health is giving your body all 90 essential nutrients it needs." 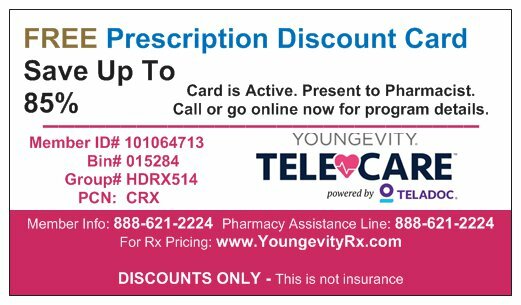 The Youngevity® Healthy Body Brain and Heart Pak™ is a specially designed nutritional supplement program that provides the body with the ultimate 90 essential nutrients, 90 For Life™, along with the Youngevity® Award Winning Ultimate™ Selenium complex. Ultimate™ Selenium contains the most widely and documented trace mineral, selenium, a super antioxidant that helps to rid the heart and brain of damaging free radical stress. Your heart is what gives you life, so taking care of it should be the first thing on your list. Transporting much needed oxygen and nutrition to your entire body and it systems makes the heart the central point for absolute health. Therefore, the disease of the heart is not something that should be ignored. Heart disease can strike the young and old, the most fit to the couch potato, and most importantly to those that are not watching the types of foods and nutrients they are putting in their system. Heart Disease is the leading cause of death among men and women, according to the Centers for Disease Control and Prevention, someone in America has a coronary event every 25 seconds. There has also been a strong correlation between heart and brain health. Much of this has to do because the treatment of the heart, with lifestyle, activity, and nutrient consumption directly relates to care or abuses of the neural pathways of the brain. The health of the brain is critical. Its health affects everything you do from thinking to working to sleeping. An "unhealthy" brain can affect your entire life and cause issues with energy, recovery, and development. As you get older your brain may lose some of the agility and speed that it once possessed. With lack of care, it can deteriorate even further and the "wires" begin to fray and lose conductivity. 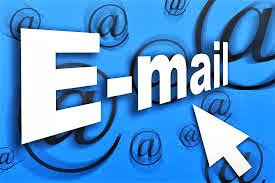 When this happens, valuable information cannot be processed and delivered from the brain to the body, causing stoppages and blocks in processing. The control center of the body is unable to deliver the messages from the brain to the rest of the body. Your thoughts, how you move your body, and how well you learn and remember things are deeply affected. 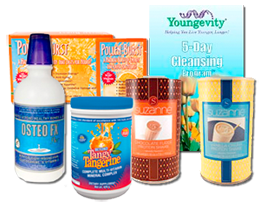 The Youngevity® Body Brain and Heart Pak™ is a specially designed nutritional supplement program that provides the body with the ultimate 90 essential nutrients, 90 For Life™, along with Youngevity® Award Winning Ultimate™ Selenium complex. Ultimate™ Selenium contains the most widely and documented trace mineral, selenium, a super antioxidant that helps to rid the heart and brain of damaging free radical stress. Providing a solid foundation is key in the maintenance and performance of the heart and brain. Therefore the Healthy Body Brain and Heart Pak™ starts with the "Mighty 90" essential nutrients, the 90 For Life™. 90 For Life™, the (3) essential products of each of our Healthy Pak's, provides the body the basic and fundamental building blocks to ensure maximum saturation of any deficiencies that arise through diet, stress, and previous abuses of the brain and heart. The proprietary blend of vitamins, minerals, fruits, vegetables, essential oils, and hundreds of other nutrients supports the bodies systems and organs so they can not only properly function but also repair and recover from the stresses individuals place on their body. Ultimate™ Selenium contains a blend of the power vitamin antioxidants Vitamin A, C, and E, along with protective, natural antioxidants of the Aloe Vera, Bilberry Fruit, and Vandium. These antioxidants are then combined with the powerful trace minerals of Copper, Chromium, and the superstar Selenium. Selenium is one of the most documented and widely studied trace minerals. Its function has been valued in the prevention and protection of cancers to diabetes. Salmon – fish contains a healthy dose of Omega 3 Fatty Acids – great for reducing bad fats in the system. Ground Flaxseed – filled with fiber and phytoesterogens, two nutrients that support hearth health. Gluten Free Oatmeal – omega 3 fatty acids, magnesium, potassium, folate – filled with heart supporting minerals. Black or Kidney Beans – loaded with B-Vitamins, minerals and essential fatty acids. Almonds/Walnuts – plant omega -3 fatty acids, vitamin E, magnesium, fiber, and heart healthy fats - mono and polyunsaturated fats. Tuna – folate and niacin, two nutrients that keep the heart beating properly and reduces blood pressure. Blueberries – contains beta-carotene, lutein, anthocynanins, and a whole host of other antioxidants. Spinach – loaded with lutein and B-vitamins to support healthy heart function. • Blueberries – researchers have found that blueberries protect the brain from oxidative stress and may reduce the effects of age-related conditions like Alzheimer's and dementia. • Wild Salmon – contain Omega-3 fatty acids and anti-inflammatory nutrients that provide a protective layer for the brain. • Nuts and Seeds – great sources of Vitamin E, an antioxidant that can cross the blood-brain barrier and fight damaging stress. • Avocados – contains mono-saturated fat that helps blood flow, more blood flow to the brain equals a healthier brain. • Whole Grains – acts the same way as Avocados, promotes cardiovascular health to provide greater blood flow. • Freshly Brewed Tea – tea has just enough caffeine (not too much) to help boost memory and focus. Also coffee has a class of antioxidants called catechines which protects the brain. How Does Your Sports Drink Compare? Click to Listen to "Deadly Recipe"
Join Dr Wallach's Army Today! Click the above or below to order today! Click the picture to print your own card. An interesting look at weight management, why diets fail, and what to do to overcome the failures in order to have success in managing ones weight. We explore what is driving the obesity epidemic; look at the various diets and where they fall short; review what the veterinary industry learned about nutrition especially the role that nutrition plays in weight management; reveal what is behind yo-yo dieting and how to permanently put an end to this phenomena; and finally how to deal with the cravings that drive us to overeat. Get the electronic version on Kindle today. 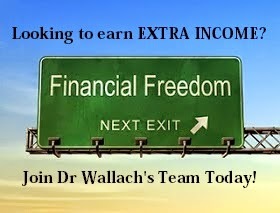 © MMXV Keith Abell, RPh CMTM MI http://ProsperityRx.com Independent Distributor 100964176. Picture Window theme. Powered by Blogger.